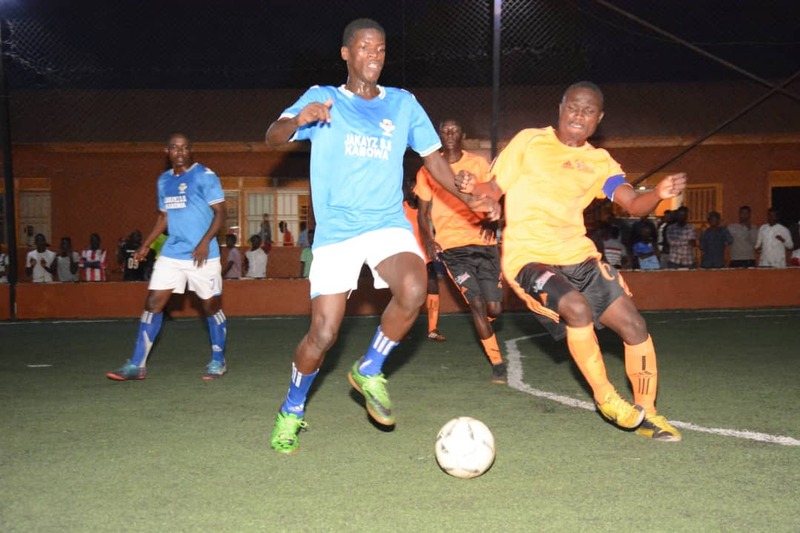 MENGO – It will be fire-works on Thursday evening when the Futsal Super League returns at the International Futsal Courts in Mengo. Going into the game, Yeak are 5 points above Park and with the League already into it’s business end, nothing short of victory for the chasers Park, will be good a result. Yeak who have 35 points have been on a stroll lately, winning all of their last six games. In their last (game), however, they required a late Shafik Avemeh strike to defeat Equator in a 3-2 victory. Against Park, they need to be at their absolute best to take all three points and if they can, they would take a giant step towards a first League Crown. Playing the chasing role, Park know that they have to perform or else, the title may be gone. “We know how important the game is to us and the rest of the League, said Park Captain Iddi Babu ahead of Thursday’s encounter. “They (Yeak) are top and hold a 5 point advantage on us and if we lose, it becomes eight which makes it a whole lot harder. “Them being on top means that they are the ones on pressure but we have to do our part and that is to win. “Winning the game means we are still in contention and so is the rest of the League. Park are fresh off a 3-2 win over Parakeets in their last game, one that saw Babu return to scoring ways with a brace. Despite the victory last week, Babu and co have not been at their best lately, something that doesn’t worry him. “Yes we have not been performing vey well on the pitch lately but i am not concerned especially if we are winning, continued Babu. “We know we have an obligation to please the fans but at the end of the day, a victory pleases them more. “If we can beat Yeak minus playing a fancy game, i will take it all day. Park have 30 points as compared to Yeak’s 35 going into the encounter on Match-Day 15. At the wrong end of the table, bottom side Yap Stars take on Aidenal. Yap have been the whooping boys this season, already losing 12 out of their 14 games so far. Off a 4-1 loss against Typhoons on Match-Day 14, they will however fancy their chances against an Aidenal side that is also struggling at the moment. Aidenal have been in terrible form lately, winning one of their last 5 games and in process, dropped to 11th on the standings. Their last game saw the Entebbe based side lose 5-1 to a rampart Bajim side that tore them apart in the second half. For defending champions-Dream, they will be hoping to keep their resurgence alive when they take on Mengo City at 9pm. After an indifferent start to the season, Dream have picked up form in the last few weeks, winning 6 of their last 8 encounters in both the Cup and League. They will however be without star-defender John Kitanda who was shown red in the 2-2 draw with Crown last week. Kitanda’s absence may be huge but with a host of good players, it may not count against an average performing Mengo City. City are currently 10th with only 16 points from their first 14 games and are coming off a 2-1 loss against Nomad. The Futsal Super League action however starts at 6pm with Nomad taking on Typhoon. Both sides will be eager to win again following their respective victories on Match-Day 14. Nomad defeated Mengo City 2-1 while Typhoon were 4-1 winners over Yap Stars. Going into the day’s opener, Nomad will be favourites as they currently sit 4th on 26 points while Typhoon are 7, four points behind their opponents. The other day’s action will see Elephants take on Crown at 7pm, Equator entertain Bajim at 8pm while Parakeets and Kabowa United lock horns at 9pm. Shaffik Avemah still tops the scoring charys with 26 goals, five ahead of teammate Enock Ssebagala.